It’s striking how cherry-picking can hone the pen of a propagandist and disguise malice behind a veneer of reason. 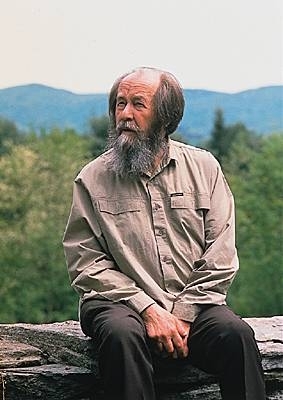 Jewish writer Cathy Young provides excellent examples of this all throughout her December 2018 Quillette article, “Solzhenitsyn: The Fall of a Prophet. ” Published shortly after Solzhenitsyn’s 100th birthday, the article’s point, essentially, is to tarnish the reputation of a great man in order to steer discourse away from aspects of his work which the current zeitgeist finds problematic. Her shoddy, dishonest treatment of Solzhenitsyn resembles Soviet-styled political revisionism, and it stinks, frankly, of character assassination. She doesn’t merely disagree with some of Solzhenitsyn’s positions and explain why (which would have been perfectly fine); rather, because she’s uncomfortable with some of his positions, she endeavors to dig up everything negative or embarrassing she can about the man in order to discredit him, both morally and intellectually. Why bother to read Solzhenitsyn at all now that Cathy Young has stabbed him full of holes with her rapier-sharp pen? Young kicks the article off by paying homage to Solzhenitsyn’s life and works with obligatory, Wikipedia-style platitudes and spices them with anecdotes from her childhood in the Soviet Union. This takes up a few paragraphs and rings true enough. However, this is completely forgotten by the time Young gets to what she really wants to talk about: Solzhenitsyn beyond his role as heroic, anti-Communist dissident. This role, I think we can all agree, constitutes the vast majority of his legacy. The bravery, tenacity, and clarity of thought that this man demonstrated at a time when political repression was as bad as it could possibly be was frankly inhuman – in a good way. One Day in the Life of Ivan Denisovich has proven to be an immortal and poignant sketch of life in a Soviet labor camp. Many of his early short stories (“Matryona’s House” and “We Never Make Mistakes,” in particular) as well as his 1968 novel Cancer Ward were equally brilliant. His speeches and essays from the Soviet period are clear, consistent, forthright, and prescient (“The Smatterers” from 1974 and his Warning to the West collection from 1976 are among my favorites). And The Gulag Achipelago speaks for itself as one of the greatest and most consequential non-fiction works of the twentieth century. 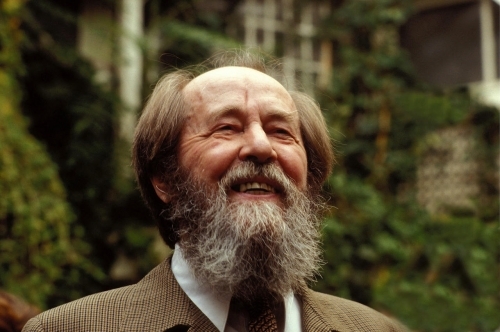 One can review David Mahoney’s centennial eulogy  for Solzhenitsyn for more. In 2018, Solzhenitsyn’s hostility toward Western-style democracy and secular universalist liberalism may find much broader resonance than it did in his twilight years. 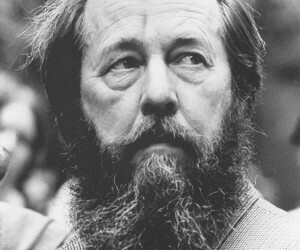 When Solzhenitsyn asserted in a 2006 interview with Moscow News that “present-day Western democracy is in a grave crisis,” that statement could be easily dismissed as a maverick’s wishful fantasy. Today, it sounds startlingly prescient. 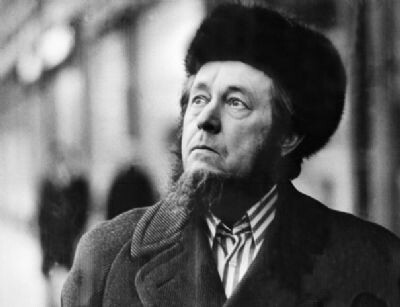 In an age when nationalist/populist movements are on the rise in Europe and the Americas and the liberal project is increasingly seen as outdated, Solzhenitsyn might be seen as a man ahead of his time. But one could also make a compelling argument for the opposite: that Solzhenitsyn’s life and career are a case study in the perils of choosing the path of nationalism and anti-liberalism, a path that ultimately led him to some dark places. So, to prevent as many people as possible from drawing inspiration from this great man, it’s time to start taking him down. But how to take down a man of Solzhenitsyn’s titanic stature? That’s a problem, isn’t it? Well, Cathy Young decides to solve it by cherry picking elements of the man’s life to draw an ugly, mean-spirited caricature of him. She’s done this before . She also relies on her audience to either not read up on Solzhenitsyn to fact-check her sloppy scholarship or to not understand Russian in case they might do so. She begins by citing and interpreting his 1983 essay “Our Pluralists.” This essay doesn’t seem to be translated into English on the Internet; Young provides a link to the original Russian , and I found a partially translated version here . Oddly, Young describes only how this essay offended other dissidents and doesn’t directly critique it herself. 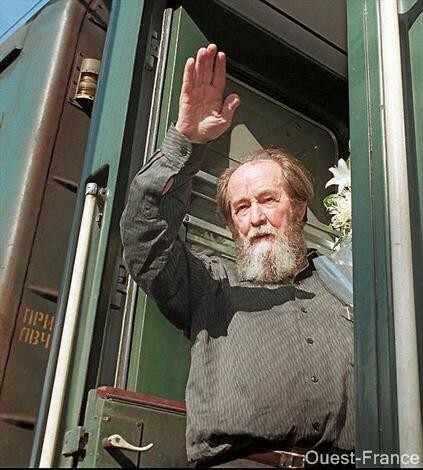 To Solzhenitsyn, the worship of pluralism inevitably led to moral relativism and loss of universal values, which he believed had “paralyzed” the West. He also warned that if the communist regime in Russia were to fall, the “pluralists” would rise, and “their thousand-fold clamor will not be about the people’s needs . . . not about the responsibilities and obligations of each person, but about rights, rights, rights” – a scenario that, in his view, could result only in another national collapse. Yes, and . . .? How is his incorrect? It seems as if Solzhenitsyn had a crystal ball back in 1983, and not just for Russia. In this case, pluralism for Solzhenitsyn meant pluralism of ideas, not racial or ethnic pluralism. Relativism, essentially. Solzhenitsyn was basically arguing for the acceptance of an objective Truth, albeit from within an uncompromisingly traditionalist and Christian framework. Of course, variety adds color to life. We yearn for it. We cannot imagine life without it. But if diversity becomes the highest principle, then there can be no universal human values, and making one’s own values the yardstick of another person’s opinions is ignorant and brutal. If there is no right and wrong, what restraints remain? If there is no universal basis for it there can be no morality. ‘Pluralism’ as a principle degenerates into indifference, superficiality, it spills over into relativism, into tolerance of the absurd, into a pluralism of errors and lies. According to the essay, Solzhenitsyn has no problem with pluralism per se as long as these pluralistic ideas are constantly compared “so as to discover and renounce our mistakes.” In this regard, his framework is as much Classical as it is Christian. One can disagree, of course, but there is absolutely nothing that is morally or intellectually objectionable about any of this. Yet because Young can dredge up a handful of names who opposed Solzhenitsyn’s Christian dogmatism or wrung their hands over his preference for Duty over Freedom, she seems to think that that makes her subject look bad. It doesn’t. These critics accused him of groupthink and labeled him a “true Bolshevik” – ridiculous claims repudiated by the essay itself. All Young can really say is that Solzhenitsyn had opponents who disagreed with him and smeared him for it. So what? Name a great man who didn’t. 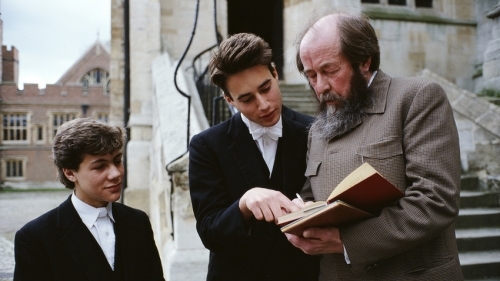 Young also attempts to throw a wet blanket on Solzhenitsyn’s not-so-triumphant return to Russia in the mid-1990s. According to Young, the Russian public didn’t seem terribly interested in him. His several-thousand-page epic The Red Wheel and other later works didn’t sell terribly well. His talk show wasn’t a hit. Not many young people in Russia read him anymore, or have even heard of the Gulag system. Only a few hundred people showed up at his funeral in 2008. Again, so what? Apparently, Young believes that because Solzhenitsyn’s star power began to fade when he was in his late 70s, his legacy began to fade as well. Can she not see how desperate and superficial this tack really is? Did Vladimir Putin starve twelve million people to death and wrongfully imprison and execute tens of millions more without anyone knowing about it, except Cathy Young? Sure, Putin is an authoritarian, and it’s impossible to go to bat for everything he does. But to equate him in any way with Stalin is pure idiocy. This is real “Trump is literally Hitler” territory and serves only to silence debate, not encourage it. How could the editors of Quillette not see this? In his 1973 essay, “Repentance and Self-Limitation As Categories of National Life,” he suggested Russians’ moral responsibility for Soviet crimes against Hungary and Latvia was somewhat mitigated by the fact that Hungarian and Latvian nationals were actively involved in the Red Terror after the Russian revolution, while the shame of the ethnic cleansing of Crimean Tatars was lessened by their status as “chips off the Horde,” the Mongol khanate that violently subjugated Russia in the thirteenth and fourteenth centuries. 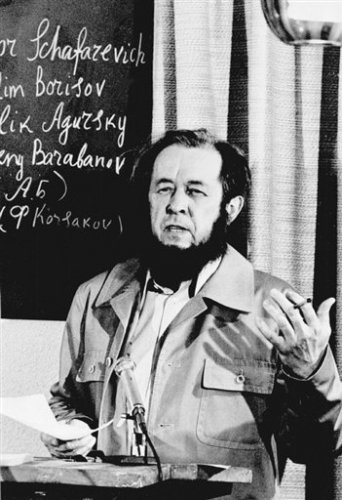 And, while Solzhenitsyn often asserted that his Russian patriotism was grounded in respect for the self-determination of other nations, he was vehemently hostile to Ukrainian and Belarussian independence. It is impossible to imagine a nation which throughout the course of its whole existence has no cause for repentance. Every nation without exception, however persecuted, however cheated, however flawlessly righteous it feels itself to be today has certainly at one time or another contributed its share of inhumanity, injustice, and arrogance. So does this sound like a “streak of prejudice”? If anything, it’s prejudicial against Russians. There’s more. Solzhenitsyn understood that penance works only if it goes both ways. He asks, “How can we possibly rise above all this, except by mutual repentance?” [emphasis mine]. His position regarding the Latvians and Hungarians is that they repented little for what they did to Russians “in the cellars of the Cheka and the backyards of Russian villages.” So why should Russians shed many tears for them in return? Same with the Crimean Tatars, who never showed much remorse for the pain they inflicted upon the Russians over the course of centuries. Note also how Young downplays Tatar sins by casting them into the distant past of the “thirteenth and fourteenth centuries.” She neglects to mention that some of their worst transgressions occurred much more recently. According to M. A. Khan in his 2009 work Islamic Jihad, the Crimean Tatars captured, enslaved, and sold to the Ottoman Empire anywhere between 1.75 and 2.5 million Ukrainians, Poles, and Russians between 1450 and 1700. That might be worth a sorry or two, wouldn’t it? Suddenly, Aleksandr Solzhenitsyn is not quite as bigoted as Cathy Young would have him seem. As a result of the sudden and crude fragmentation of the intermingled Slavic peoples, the borders have torn apart millions of ties of family and friendship. Is this acceptable? The recent elections in Ukraine, for instance, clearly show the [Russian] sympathies of the Crimean and Donets populations. And a democracy must respect this. I myself am nearly half Ukrainian. I grew up with the sounds of Ukrainian speech. I love her culture and genuinely wish all kinds of success for Ukraine – but only within her real ethnic boundaries, without grabbing Russian provinces. Does this sound “vehemently hostile?” I will admit his brief denunciation  of the Ukrainian genocide claim from April 2008 came across as cranky. But he was 89 at the time and all of four months away from the grave! Who wouldn’t come across as a little cranky under such circumstances? Further, Young’s source  for the “vehemently hostile” smear is riddled with contradictions. It faults Solzhenitsyn for wanting Russia to let go of non-Slavic republics like Armenia and Kyrgyzstan (thereby respecting their nationalism) and then criticizes him for wanting to keep Belarus and parts of Ukraine (thereby disrespecting their nationalism). This is unreasonable since it puts Solzhenitsyn in a lose-lose position. In her article, Young claims that Solzhenitsyn’s nationalist path “ultimately led him to some dark places.” Well, okay, but if nationalism is bad, then why doesn’t she slam Belarus, Ukraine, Armenia, Kyrgyzstan, and all the other republics for their nationalist agendas? Why is it only Russian nationalism that leads to the path to darkness? Note also how Young never cites instances in Solzhenitsyn’s writing in which he shows favoritism towards other groups. In Cancer Ward, the main character Kostoglotov describes how he sided in a fight with some Japanese prisoners against Russian prisoners because the Russians were behaving barbarically and deserved it. In “the Smatterers” he writes in glowing terms about the birth of Israel. His 1993 Vendée Uprising address was a veritable love letter to the French. And let’s not forget the downright tenderness he shows towards the Estonians in Volume 1, Part 1, Chapter 5 of The Gulag Archipelago. Of course, I could go on. As for the Jews, we can’t expect to do Solzhenitsyn’s treatment of them any justice in such a short article. We can, however, condense it into two main segments: his fiction and his non-fiction. In his fiction, his tendency was to portray Jews in a somewhat negative light, it’s true. Great examples include Lev Rubin and Isaak Kagan from In the First Circle, who seem sympathetic but ultimately defend the evils of Communism. His treatment of Jews in his early play The Love-Girl and the Innocent reach Shylock/Fagin levels of stereotype (although Solzhenitsyn based one of these characters on a particularly vile Jew in real life named Isaak Bershader, who also appears in Volume 2, Part 3, Chapter 8 of The Gulag Archipelago in an unforgettable scene in which he crushes the spirit of a strong and beautiful Russian woman before coercing her to become his mistress). Then there’s the expanded version of August 1914, which included a chapter dealing with Dmitri Bogrov, the Jewish radical who assassinated the great Russian Prime Minister Pyotr Stolypin in 1911. According to Young, Solzhenitsyn portrayed Bogrov “with no factual basis, as a Russia-hating Jewish avenger.” I would have to do a great deal of research to verify this claim, of course. However, I don’t trust Cathy Young. The deceptions and smears in her article should prevent anyone from trusting her. Furthermore, Bogrov did assassinate Stolypin, and Stolypin was a great man. Would Young rather Solzhenitsyn portray Bogrov as a hero? Is it too much of a stretch for us to believe Bogrov harbored an ethnic grudge against Russia and Russians? He wouldn’t have been the first. Kevin MacDonald has given us an entire body of work demonstrating exactly how some influential Jews harbor deep and irrational resentment towards white gentiles. So why not Dmitri Bogrov? I have read the Bogrov passages in August 1914. Young’s take on them is jaundiced, to say the least. The author paints a moving portrait of a mentally disturbed, rigid-minded, radically-inclined, highly-informed, and ethnically-obsessed young man. How does that not fit the bill for a Jewish anarchist from a century ago? How is this any different from the way in which Solzhenitsyn portrayed a whole host of Russian authority figures in his Red Wheel opus as incorrigibly incompetent, cowardly, vain, irresponsible, and self-centered? Does this make him as anti-Russian as he is anti-Semitic? Or maybe just honest? And speaking of honesty, let’s look at how Cathy Young most dishonestly doesn’t mention Solzhenitsyn’s positive Jewish characters, such as Ilya Arkhangorodsky, also from August 1914, and Susanna Korzner from March 1917. As for his non-fiction, people can argue whether Solzhenitsyn unfairly singled out Jewish Gulag administrators in The Gulag Archipelago. But that’s small potatoes compared to his opus Two Hundred Years Together. On this account, Young actually does a fairly evenhanded job of assessing her subject. Even the Jews can’t decide on whether Solzhenitsyn was an anti-Semite, and many of them who actually knew him personally deny it, since Solzhenitsyn’s behavior towards them was always impeccable. Young dutifully presents both sides and links to a well-balanced Front Page symposium  before tilting her conclusion in favor of anti-Semitism. That’s her right, of course. My take is a little different. I say that Solzhenitsyn acted in good faith when writing Two Hundred Years Together. He may or may not have made mistakes in his work, but I say he presented the gentile side of the argument pretty well. It is a side that rarely sees the light of day given how prolific Jews are in portraying their end of the struggle and how influential they are in suppressing literature they find threatening. Why else go after people like Pat Buchanan and Joe Sobran? Why else see to it that pro-white writers and activists like MacDonald and Jared Taylor get thoroughly marginalized? Why else suppress Holocaust denial and revisionist literature? Why else create a forbidding atmosphere for the publication of Two Hundred Years Together in English? I invite all, including Jews to abandon this fear of bluntness, to stop perceiving honesty as hostility. We must abandon it historically! Abandon it forever! In this book, I call a spade a spade. And at no time do I feel that in doing so it is being hostile to the Jews. I have written more sympathetically than many Jews write about Russians. The purpose of this book, reflected even in its title, is this: we should understand each other, we should recognize each other’s standpoint and feelings. With this book, I want to extend a handshake of understanding – for all our future. But we must do so mutually! Does this sound like it was written by an anti-Semite? Maybe it does to someone as dishonest and as blinkered as Cathy Young. Maybe it does to someone who wishes to enforce a program of mandatory philo-Semitism among the goyim. But to everyone else, it just seems like it was written by the same man who thirty years earlier told Russians they should “err . . . on the side of exaggeration” when it comes to repentance . . . but only if that repentance is mutual. Aleksandr Solzhenitsyn was a great man and a great writer for many reasons, not least because he was honest and consistent. It’s a shame that some people today feel so threatened by him that they resort to underhanded smear pieces to discredit him and hound him out of public discourse. Undoubtedly, they fear not just his nationalism but his ethnonationalism. This may not have been terribly in vogue during the last years of his life, but it is trending that way now, especially for white people. Cathy Young was absolutely correct about that and about how Aleksandr Solzhenitsyn was a man ahead of his time. She contrives a number of arguments to make it seem as if we’re witnessing the fall of a prophet, but in reality, we are only witnessing his rise. Spencer J. Quinn is a frequent contributor to Counter-Currents and the author of the novel White Like You . « Il y a trois ans, aux États-Unis, j'ai été amené à dire des choses que l'on a rejetées, qui ont paru inacceptables. « On dirait, en parcourant les histoires écrites de notre temps, que l’homme ne peut rien, ni sur lui, ni autour de lui. Les historiens de l’Antiquité enseignaient à commander, ceux de nos jours n’apprennent guère qu’à obéir. Dans leurs écrits, l’auteur paraît souvent grand, mais l’humanité est toujours petite. « La presse peut jouer le rôle d'opinion publique, ou la tromper. De la sorte, on verra des terroristes peints sous les traits de héros, des secrets d'État touchant à la sécurité du pays divulgués sur la place publique, ou encore des intrusions sans vergogne dans l'intimité de personnes connues, en vertu du slogan : « tout le monde a le droit de tout savoir ». The death of Alexander Solzhenitsyn produced predictable reactions from Western commentators. Yes, they said, he was a moral giant for so bravely exposing the evils of the Soviet penitential system in The Gulag Archipelago; but he later compromised his moral stature by failing to like the West and by becoming a Russian nationalist. 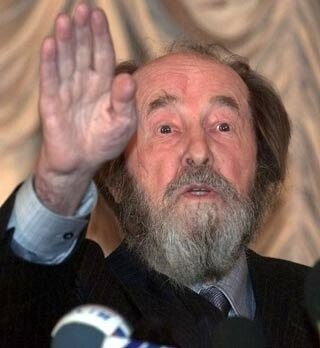 In later years, Solzhenitsyn lost some of his stature …thanks to his failure to embrace liberal democracy. He never really liked the west, never really took to free markets or pop culture. Such comments reveal more about their author than about their subject. We are dealing here with something I propose to call geo-ideology: the alas now widespread prejudice that “West” and “democracy” are identical concepts. In the minds of such commentators, moreover, the “West” is also identical with “free markets” and “pop culture.” The “West,” apparently no longer means “the Christian religion” or even that body of inheritance from the magnificent treasure-house of the cultures of Athens and Rome. Instead it means MTV, coke and Coke. At every level these assumptions are false. Let us start with “free markets,” the endlessly repeated shibboleth of the globalisers. By what possible criterion can Russia be said to have a less free market than the United States of America, or than the majority of European Union member state? One of the key measure of the freedom of a market is the amount of private income consumed by the state. The income tax rate in Russia is fixed at a flat rate of 13% – a fraction of the 25% or so paid in the US, 33% of so paid in the United Kingdom and the 40% or more paid in continental Europe. As for pop culture, Russia unfortunately has plenty of it. Her youth are just as imbued with it, unfortunately, as the youth of Europe and America. The comments also fail to present the reader with any serious analysis of Solzhenitsyn’s political position. The author makes vague and disparaging references to the unsuitability of Solzhenitsyn’s “vision of a more spiritual society” and to his “crusty and old fashioned nationalism” – judgements which appear to owe much to the Soviet propaganda she says she rejects. But she fails to allow the reader to know just what she means. Surely, on the occasion of a man’s death, it might be opportune to tell people about what he thought. Solzhenitsyn makes a withering attack on three hundred years of Russian history. Almost no Russian leader emerges without censure (he likes only the Empress Elizabeth [1741–1762] and Tsar Alexander III [1881–1894]); most of them are roundly condemned. One might contest the ferocity of Solzhenitsyn’s attacks but the ideological coherence of them is very clear: he is opposed to leaders who pursue foreign adventures, including empire-building, at the expense of the Russian population itself. This, he says, is what unites nearly all the Tsars since Peter the Great with the Bolshevik leaders. Again and again, in a variety of historical contexts, Solzhenitsyn says that Russia should not have gone to the aid of this or that foreign cause, but should instead have concentrated on promoting stability and prosperity at home. While we always sought to help the Bulgarians, the Serbs, the Montenegrins, we would have done better to think first of the Belorussians and Ukrainians: with the weighty hand of Empire we deprived them of cultural and spiritual development in their own traditions… the endless wars for Balkan Christians were a crime against the Russian people… The attempt to greater-Russify all of Russia proved damaging not only to the living national traits of all the other ethnicities in the Empire but was foremost detrimental to the greater-Russian nationality itself … The aims of a great Empire and the moral health of the people are incompatible … Holding on to a great Empire means to contribute to the extinction of our own people. There is literally nothing to separate this view from the anti-interventionist anti-war positions of Pat Buchanan (author of A Republic not an Empire) or Ron Paul. The trouble is not that the USSR broke up – that was inevitable. The real trouble, and a tangle for a long time to come, is that the breakup occurred along false Leninist borders, usurping from us entire Russian provinces. In several days, we lost 25 million ethnic Russians – 18 percent of our entire nation – and the government could not scrape up the courage even to take note of this dreadful event, a colossal historic defeat for Russia, and to declare its political disagreement with it. Solzhenitsyn is right. One of the most lasting legacies of Leninism, which remains after everything else has been swept away or collapsed, was the decision to create bogus federal entities on the territory of what had been the unitary Russian state. These entities, called Soviet republics, contributed only to the creation of bogus nationalisms and of course to the dilution of Russian nationhood. They were bogus because the republics in question did not, in fact, correspond to ethnic reality: Kazakhs, for instance, are and remain a numerical minority in Kazakhstan, while “Ukraine” is in fact a collection of ancient Russian provinces (especially Kiev) and some Ukrainian ones. This bogus nationalism allowed the Soviet Union to present itself as an international federation of peoples, rather like the European Union today, but it was exploited by Russia’s enemies when the time came to destroy the geopolitical existence of the historic Russian state. This happened when the USSR was unilaterally dissolved by three Republic leaders in December 1991. And this is the key to the West’s hostility to Solzhenitsyn. The man the West exploited to destroy Communism refused to bend the knee to the West’s continuing attempts (largely successful) to destroy Russia herself. Perhaps it is no coincidence that Anne Applebaum, an American citizen, is the wife of the Foreign Minister of Russia’s oldest historical enemy, Poland. This article originally appeared in The Brussels Journal. John Laughland's [send him mail] latest book is A History of Political Trials: From Charles I to Saddam Hussein. 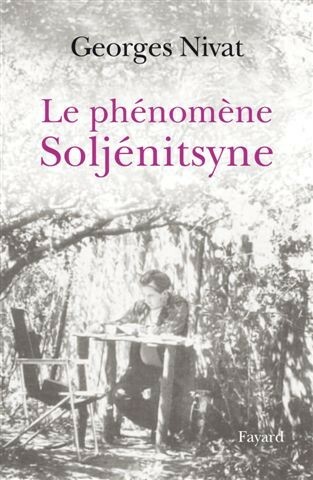 «Le Phénomène Soljenitsyne» de Georges Nivat est un essai de référence sur le message spirituel et politique du géant russe. Soljenitsyne agace ceux qui voudraient bien se débarrasser du grand homme après l'avoir encensé. L'équation est connue : gardons le héros de L'Archipel du Go ul ag qui, par sa force d'âme, a ébranlé le mensonge soviétique, mais oublions le réactionnaire aux allures d'ayatollah slave qui annonce à l'Occident des lendemains qui déchantent. L'ennui est que le résistant au communisme et le critique du libéralisme ne font qu'un chez celui dont la rébellion fut autant spirituelle que politique. Telle est la thèse de Georges Nivat, slaviste renommé qui enseigne à l'université de Genève et dont le livre Le Phénomène Soljenitsyne a été lu et approuvé par l'intéressé avant sa mort. Vendu à 800 000 exemplaires lors de sa publication en Russie durant la perestroïka, cet ouvrage, qui paraît aujourd'hui en France dans une version enrichie, n'est pas une biographie de plus : c'est un essai qui, non seulement, embrasse tous les aspects de l'œuvre romanesque de Soljenitsyne, mais se veut, en outre, l'expression fidèle de la pensée ultime de l'écrivain, disparu le 8 août 2008. Admirateur de Soljenitsyne, Georges Nivat n'est pas un hagiographe. Il ne minimise pas les « défauts » du grand homme : une personnalité autocratique, qui est comme l'envers de son charisme. Il n'occulte pas ce qui peut paraître choquant chez un chrétien : un pessimisme culturel à la Oswald Spengler, l'auteur du Déclin de l'Occident, l'un des livres culte de la révolution conservatrice allemande. Le fait est que Soljenitsyne, même s'il ne mit jamais sur le même plan le totalitarisme communiste et le libéralisme occidental, aura des mots très durs, depuis le discours de Harvard en 1977, pour ce qu'il a appelé la « dégénérescence morale des Occidentaux », leur « manque de caractère » et pour tout dire de « virilité ». « À relire toute l'œuvre de Soljenitsyne publiciste, on reste frappé par son extraordinaire cohérence », écrit Nivat. « Tout est commandé par une vision historiographique précise : le mal vient de l'humanisme, de l'anthropocentrisme né à la Renaissance et importé en Russie depuis Pierre le Grand . » Selon Nivat, Soljenitsyne s'inscrit dans la lignée de ces Russes, d'Alexandre Herzen à Léon Tolstoï, pour lesquels il existe une « Russie éternelle » dont la vocation s'enracine moins dans la tradition grecque orthodoxe que dans une vieille Russie chrétienne du Nord et de l'Est sibérien fondée sur les communautés paysannes et l'amour mystique de la terre. Il faudra bien s'y faire, Soljenitsyne est un fieffé «antimoderne». Son culte de l'honneur, son amour des traditions et son sens du sacrifice, explique Nivat, est d'un autre temps. Mais qui dit que la nostalgie est par principe impuissante ? N'est-ce pas au nom d'une Russie que les marxistes considéraient comme « dépassée », que Soljenitsyne a vaincu ses persécuteurs ? « Ses grands rappels dans le domaine de l'éthique et de la politique ne font plus recette. Et pourtant, ils correspondent en grande partie aux tâtonnements des nouvelles générations : ne pas mentir, rester soi-même, créer une démocratie à la base, plutôt qu'au sommet, pratiquer l'autolimitation dans sa vie personnelle, comme dans la consommation de masse », écrit Georges Nivat, pour qui la force de Soljenitsyne est d'avoir toujours transfiguré le réel par la foi, loin du réalisme bourgeois ou socialiste. « Ce qui pèse en l'homme, c'est le rêve », écrivait Bernanos. Qui peut nier que, grâce à Soljenitsyne, le rêve d'une Russie régénérée ait pesé dans la balance de l'histoire ? Le Phénomène Soljenitsyne de Georges Nivat Fayard, 449 p., 25 €. Alexander Solschenizyns: Zwischen zwei Mühlsteinen. Mein Leben im Exil. Herbig 2005. Alexander Solschenizyn: Was geschieht mit der Seele während der Nacht? (Prosaminiaturen) Herbig 2006. Vorbemerkung: Diese Rezension schrieb ich für die Zeitung „Neue Ordnung“ des Leopold Stocker Verlags. Inhalt und Konzeption des Aufsatzes waren mit dem Verlagsleiter Mag. Stocker abgesprochen. Trotzdem weigerte sich Stocker den Aufsatz zu bringen, weil ich die „düsteren und kriminelle Aspekte“ der Demokratie benannte und weil ich zu Recht feststellte, daß Rußland durch die „Demokratisierung“ vom Regen in die Traufe geraten ist. Bei Herbig sind zwei Bücher von Alexander Solschenizyn erschienen, „Zwischen zwei Mühlsteinen“, das in faszinierender und packender Weise die 30 Jahre eines Exils schildert, das Solschenizyn bekanntlich via Köln und Zürich nach Vermont, Usa führte, und das Bändchen „Was geschieht mit der Seele während der Nacht?“ mit Prosaminiaturen aus vierzig Jahren schriftstellerischen Schaffens. Aus dem us-amerikanischen Exil kehrte Solschenizyn bekanntlich vor 12 Jahren nach Rußland zurück. Im Exil hatte er niemals die Verbindung zur russischen Heimat aufgegeben und stets an seinem Glauben an eine Wiedergeburt Rußlands festgehalten. Für diesen Glauben hatte er in Kauf genommen, im Westen als Reaktionär und im Osten als antikommunistischer Staatsfeind diffamiert zu werden. An der Zusammenarbeit von Ost und West, die sich oft genug in gemeinsamer Desinformation manifestierte, zerbrach Solschenizyn nicht, wie viele andere, die die Allianz von Kommunismus und Demokratie nicht verstehen konnten und sich in die Isolierung flüchteten. In der Schweiz galt Solschenizyn im Gegensatz zu Millionen Asylanten als lästiger Ausländer und wurde von der Fremdenpolizei als politischer Agitator behelligt. Ironischer Weise geschah das, als Solschenizyn in den Schweizer Archiven erforschte, daß der Massenmörder Lenin während seines Schweizer „Asyls“ völlig unbehelligt seinen Vorbereitungen zum Umsturz der christlichen Ordnung nachgehen konnte. Im September 1915 hatten sich die europäischen Kommunisten bekanntlich in Zimmerwald im Kanton Bern getroffen, um die Durchsetzung des Bolschewismus, die Zerstörung der europäischen Staaten und die Beseitigung des Rechts zu bewerkstelligen. Diesen Prozeß förderte die Schweiz bis hin zum termingerechten Einschleusen Lenins in das wankende Rußland. Wäre Lenin 1916 und 1917 von der Schweiz so behandelt worden, wie Solschenizyn 1976 und 1977, dann hätte es wohl keine bolschewistische Revolution gegeben. Solschenizyn bedankte sich trotzdem höflich bei den Schweizern, hatte er hier doch die Lenin betreffenden Kapitel für das Rote Rad fertigstellen können, Kapitel, die auch als eigenständiges Buch Lenin in Zürich erschienen sind. Die weiteren Teile des Roten Rades schuf Solschenizyn dann in den Usa, weil er sich nur hier vor den Nachstellungen des KGB sicher fühlte. Von der Öffentlichkeit ließ sich Solschenizyn in seinem Exil sorgfältig abschirmen, da er sein Leben einzig dem schriftstellerischen Werk widmen wollte. Bereits als Sowjetbürger hatte Solschenizyn die westliche Entspannungspolitik und die westliche Interpretation des Kommunismus kennengelernt. Dies geht auch aus einigen seiner vor 1975 erschienenen Schriften hervor. Was er dann im Westen und namentlich in den Usa der Präsidenten Ford und Carter erlebte, schockierte ihn jedoch und erfüllte ihn mit tiefer Besorgnis vor einem Endsieg des Kommunismus. Diese Sorge wurde noch verstärkt durch die Tatsache, daß der deutschjüdische Außenminister Kissinger die amerikanischen Rundfunkstationen anwies, keine Reden oder Kommentare Solschenizyns ins Ausland zu übertragen und daß zumindest bis zum Ende der Entspannungsära mit dem Amtsantritt Präsident Reagans im Jahre 1981 die Usa darum bemüht war, nicht etwa den Kommunismus, sondern das „Problem Solschenizyn“ einzudämmen. Die Sorge vor einem weltweiten Erstarken des Kommunismus bewegte Solschenizyn dazu, den Essay „Warnung! Die tödliche Gefahr des Kommunismus“ zu verfassen, der 1980 in der Abenddämmerung der gescheiterten Entspannungspolitik erschien. Solschenizyn warf in dem Essay dem Westen zu Recht vor, daß er den Kommunismus von Anfang an unterstützt habe, obwohl sich 1917 das ganze russische Volk gegen den Kommunismus gestellt hatte. Diese Unterstützung des Westens wurde noch verstärkt, je mehr sich der Kommunismus in millionenfache Massenmorde und Verbrechen verstrickte, und kulminierte im 2. Weltkrieg, als der Westen ganze Völker und halbe Kontinente dem Sowjetkommunismus auslieferte. Der Westen gewann immer dann, wenn er sich zur Abwehr des Kommunismus entschloß, sei es bei der Blockade Berlins, sei es beim Koreakrieg. Anschließend fiel er leider wieder in den Anpassungskurs zurück, der dem Kommunismus Boden verschaffte. Bei der Interpretation des Kommunismus liebte der Westen die Oberflächlichkeit. Die Aggressivität des Kommunismus wurde im Westen mit Angst vor Angriff, Einkreisung und ähnlichem beschönigt. Und obwohl der Kommunismus weltweit wütete, sprach man von asiatischem Charakter des Sowjetsystems oder vom notorischen Russentums. Solschenizyns Analyse sah anders aus: Der Kommunismus ist ein destruktives, zerstörerisches soziales Krebsgeschwür, das nur besiegt werden kann, wenn es völlig vernichtet wird. Entspannungspolitik ist so sinnlos wie das Verharren eines Krebskranken in blinder Hoffnung auf Heilung. Solschenizyn weiß wovon er spricht, hat er doch in den 50er Jahren eine Krebserkrankung überwunden. Dem Roman „Krebsstation“ liegt der Heilungsprozeß zugrunde. In der Entspannungspolitik sieht Solschenizyn den „dritten Verrat des Westens“ - nach 1918 und 1945. Solschenizyn belegt die furchtbare Zerstörung, die der Kommunismus am russischen Volk angerichtet hat. Er zeigt auf, wie das Russentum kurz vor der biologischen Vernichtung steht und er weist immer wieder hin auf die Denker und Priester, „die geistigen Lehrer des Volkes“, die die Kommunisten ermordet haben, Namen, die im Westen auch heute niemand kennt, einem Westen, der behauptet einen Kult des Gedenkens zu veranstalten, tatsächlich aber einen Exzeß an Gedächtnisverlust betreibt. Es ist wohl ein Wunder, daß sich das orthodoxe Priestertum angesichts des kommunistischen Massenmordes und der flankierenden Unterstützung der gesamten westlichen Linken, auch der deutschen und österreichischen Sozialdemokraten, überhaupt erhalten hat. Und man darf es wohl als namenlose Schande bezeichnen, daß Österreich die Symbole der Mörder noch im Staatswappen führt. Hier, wie in manch anderem Gedanken, dringt das russische Herz Solschenizyns durch und für die Feststellung, daß Galizien, Lodomerien, die Bukowina und die „Karpatoukraine“, also die Ostkarpaten, Teil der Habsburger Monarchie sind, könnte er wohl nur geringe Sympathien aufbringen. Solschenizyn fordert weiterhin, daß die Menschen wieder lernen müssen zu arbeiten, ihr Schicksal selbst in die Hand zu nehmen. Er verlangt radikale Abrüstung und Marktwirtschaft. Die KPdSU muß vollständig enteignet und entmachtet, der Grund und Boden privatisiert werden, allerdings nur an Bauern! Vor einem kapitalistischem System der Bodenbearbeitung warnt Solschenizyn. Die Aussagen Solschenizyns zur Frage der Staatsform sind zwiespältig zu beurteilen. Solschenizyn betont zwar mancherorts, daß es eine Obrigkeit geben muß, doch für eine Rückkehr des Hauses Romanow bricht er keine Lanze, ja er erwähnt das ja zweifellos auf göttlicher Vorsehung beruhende Zarentum des Hauses Romanow (bzw. Romanow-Holstein-Gottorp) nicht einmal. Dies ist um so rätselhafter, als er die Geschichte dieses Hauses ja kennt wie kaum ein zweiter. Die Einführung einer „Demokratie“, deren düstere und kriminelle Aspekte er ebenfalls genau kennt und in seinem Werk mancherorts ausführlich beschrieben hat, hielt er wohl schon 1990 für beschlossene Sache. Daß Rußland auf diesem Wege vom Regen in die Traufe gerät, hätte ihm klar sein müssen. Die Zeit seit 1990 hat das uneingeschränkt bestätigt. Auch Solschenizyn konstatiert 1999 das totale Scheitern des angeblichen „Neubeginns von 1990“. Warum hat er selbst damals die gleiche verführerische Demokratie-Melodie gespielt? Dies bleibt unverständlich und befremdlich. Solschenizyn kennt die fundamentale Demokratiekritik durchaus und zitiert Tocqueville, Schumpeter und sogar Karl Woytila. Er nennt einige der bekannten Argumente gegen die Demokratie, zieht daraus jedoch überhaupt keine Konsequenzen. In den Usa hatte er sich mit seiner radikalen Zivilisationskritik wenig Freunde gemacht, da sie als antiamerikanisch empfunden wurde. Im legendären Jahr 1990 hielt er sich hingegen auffallend zurück. Dies war ein nicht wieder gutzumachender Fehler. Gerade für einen Mann wie Solschenizyn hätte die Tatsache, daß der „demokratische“ Weg in die Zerstörung hinein führt, vorhersehbar sein können und müssen. Die verschiedenen Vorschläge, die Solschenizyn zu Politik, Wahlsystem und Verwaltung vorträgt, machen dann auch einen eher belletristischen Eindruck und erschöpfen sich in Wunschvorstellungen. Ein „Semstwo“-System nach altrussischem Vorbild, wie es Solschenizyn beschreibt, kann ja überhaupt nur unter dem Schirm einer monarchischen Herrschaft und eines Reiches gedeihen und muß unter demokratischen Verhältnissen entarten, wenn es denn überhaupt eingeführt werden kann - was im Nachwenderußland nicht der Fall war. Vier Jahre später veröffentlichte Solschenizyn das Buch „Die russische Frage am Ende des 20. Jahrhunderts.“ Hier handelt es sich um einen sehr ausführlichen historischer Abriß des Russentums, der die Geschichtssicht Solschenizyns darlegt. Es ist zum Teil amüsant zu lesen, wie Solschenizyn Deutschland und Österreich betreffende Ereignisse der russischen Politik beurteilt. Solschenizyn ist russisch-orthodoxer Christ. Er fordert von der (russisch-orthodoxen) Kirche, daß sie sich vollständig vom Joch des Staates befreit und ganz mit der Seele des Volkes lebt. Sie möge nach dem Beispiel Christi Furchtlosigkeit zeigen. Solschenizyn mißtraut dem hohen Klerus und erhofft eine Evangelisierung Rußlands durch die Priester und das Christenvolk. Die orthodoxe Kirche soll keine Staatskirche mehr sein, doch stellt sich Solschenizyn vor, daß sie einen Einfluß ausübt, „wie ihn das Rabbinat in Israel hat“. Als verhängnisvoll für die russische Kirche nennt Solschenizyn das Schisma des 17. Jh. Diesem Schisma waren radikale Reformen der russischen Kirche vorausgegangen, mit dem Ziel, die russischen Liturgien den konstantinopolitanischen anzupassen. Die Reformen beinhalteten u.a. die Regel des dreifingerigen statt des zwei- und fünffingerigen Kreuzschlagens, ein dreifaches statt zweifachem Halleluja, die Schreibweise „Iisus“ statt „Isus“ für Jesus, die Vorschrift, die Prozessionen nach Sonnenaufgang statt nach Sonnenuntergang zu richten, sowie die Anpassung des Nizänums an den griechischen Text. Die Bewegung der bei den alten Sitten verbleibenden Altgläubigen, von den Gegnern „Raskolniki“ genannt, wurde für zwei Jahrhunderte blutig verfolgt, teils dezimierte sie sich auch in Massenselbstmorden. Solschenizyn bemerkt, daß der Wille Zar Nikolaus II. einer durchgreifenden Erneuerung der Kirche vor 1917 im Wege gestanden habe. Die Revolution wurde daher von der Kirche zunächst als Befreiung empfunden, die ihr die von Gott geforderte Selbstbestimmung ermöglichte. Es sei daran erinnert, daß hier ein Prozeß begann, der in der katholischen Kirche bereits vor der Burg Canossa im 11. Jh. einsetzte! Alle Zaren des 19. Jh. hatten die russisch-orthodoxe Kirche durch einen Minister, den s.g. „hl. Synod“ regieren lassen und die Freiheit der Kirche gegen das göttliche Recht massiv beschnitten. Solschenizyn fordert eingedenk dieser Erfahrungen eine starke, unabhängige orthodoxe Kirche, die machtvoll ihr Wächteramt wahrnehmen kann. Doch ist dies angesichts der inneren Struktur der Orthodoxie und ihrer Trennung vom römischen Lehramt kaum möglich. Solschenizyn fordert ferner einen verständlichen und überzeugenden kirchlichen Unterricht für Kinder und Erwachsene, eine Modernisierung der Kirche ohne Verlust an Glaubenssubstanz, in diesem Zusammenhang Versöhnung mit den Altgläubigen (der sich allerdings noch schwieriger darstellen dürfte, als die Versöhnung der katholischen Tradition mit den Anhängern des „2. Vatikanum“. Solschenizyn hat neben der großen Form des Romans und des historischen Epos auch stets die kleinen Formen des Gedichtes und der Prosaminiatur gepflegt. Vieles davon findet sich innerhalb der großen Werke, doch das Wertvollste hat Solschenizyn aufbewahrt. Diese Prosaminiaturen sind jetzt in einem Bändchen bei Herbig unter dem Titel „Was geschieht mit der Seele während der Nacht?“ erschienen. In zwei Abteilungen (1958-1963 und 1996-1999) gewährt Solschenizyn Einblick in die poetische Seite seines Schaffens. Leider bedient sich der Verlag Langen Müller der Neuen Schlechtschreibung, was wohl kaum im Sinne des Dichters sein kann. Le bouleau est un type d’arbre à l’écorce blanche argentée, dont le bois est fort clair et très dur. En Sibérie et dans de nombreuses régions de l’immense plaine russe, avec ses marécages gelés et enneigés, cet arbre est familier, appartient au paysage. La barbe et les cheveux gris de Soljénitsyne, écrivain, chrétien orthodoxe que Staline n’était pas parvenu à éliminer, rappelaient, depuis quelques années déjà, les couleurs de cet arbre si emblématique, qui jaillit partout de la terre russe. Sa vie connut un premier bouleversement en 1945, lorsque, dans une lettre à un camarade, il décrit “l’homme à la moustache” (= Staline) comme incompétent sur le plan militaire. Soljénitsyne était alors en Prusse orientale et participait aux combats pour prendre la ville de Königsberg (que l’on appelle aujourd’hui Kaliningrad, dans l’enclave russe sur les rives de la Baltique). Il est arrêté: une routine sous la terreur soviétique de l’époque. Il ne sera libéré que huit ans plus tard, en 1953, à l’époque où la paranoïa du dictateur atteignait des proportions à peine imaginables, tandis que sa santé diminuait à vue d’oeil. Staline ne voyait alors dans son entourage que complots juifs ou américains; de 1953 à 1956, Soljénitsyne, professeur de mathématiques de son état, réside, libre mais banni, au Kazakhstan. En 1956, on le réhabilite et en 1962, il amorce véritablement sa carrière d’écrivain en publiant dans la revue “Novi Mir” une nouvelle, “Une journée dans la vie d’Ivan Denissovitch”. Mais c’est en 1968 que ce dissident acquiert la notoriété internationale, à cinquante ans, quand sortent de presse “Le pavillon des cancéreux” et “Le premier cercle”; il a réussi à faire passer clandestinement ses manuscrits à l’étranger; rapidement, ils sont connus dans le monde entier, par des traductions qui révèlent l’atrocité de son vécu de bagnard dans l’Archipel du goulag. En 1970, il est le deuxième Russe (le premier fut Ivan Bounine) à recevoir le Prix Nobel de littérature. Celui qui veut comprendre et apprendre un maximum de choses sur la littérature russe dans l’espace linguistique néerlandophone, doit lire les écrits du grand slaviste Karel van het Reve (1921-1999), car celui-ci, mieux que quiconque, a pu, dans ses nombreux livres et essais, décrypter les mystères russes. Mais sa “Geschiedenis van de Russissche literatuur” (1) s’arrête malheureusement à Anton Tchekhov. Pour mieux comprendre la dissidence et l’intelligentsia russes, il me paraît toutefois utile de relire les travaux de ce slaviste, dont les titres sont éloquents: “Met twee potten pindakaas naar Moskou” (1970; “Avec deux pots de crème de cacahouète à Moscou”), “Lenin heeft echt bestaan” (1972; “Lénine a vraiment existé”) et “Freud, Stalin en Dostojevski” (1982; “Freud, Staline et Dostoïevski”). Dans un ouvrage posthume, paru en 2003, et intitulé “Ik heb nooit iets gelezen” (= “Je n’ai jamais rien lu”), ce grand connaisseur de la Russie, au regard froid et objectif mais néanmoins très original, émet force assertions qui témoignent de sa connaissance profonde des lettres russes. De son essai “De ondergang van het morgenland” (1990; “Le déclin de l’Orient”), je ne glanerai qu’une seule et unique phrase: “Selon le régime, en 1917, c’est la classe ouvrière, que l’on appelle également le prolétariat, qui est arrivée au pouvoir, alliée, comme on le prétend officiellement, aux paysans. C’est là une déclaration dont nous n’avons pas à nous préoccuper, si nous entendons demeurer sérieux. Surtout, ces paysans, que l’ont a tirés et hissés dans la mythologie révolutionnaire, font piètre figure, prêtent à rire (jaune): le régime a justement exterminé une bonne part du paysannat. Pour ce qui concerne les ouvriers, il est bien clair que ce groupe au sein de la population n’a quasiment rien à dire dans un régime communiste, et sûrement beaucoup moins que sous Nicolas II ou sous Lubbers et Kok aux Pays-Bas”. 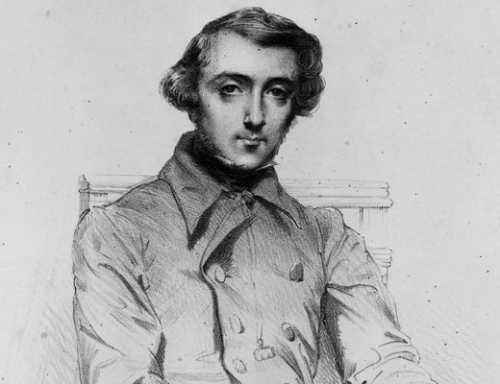 Soljénitsyne n’était pas homme à se laisser jeter de la poudre aux yeux; prophète slavophile, il a progressivement appris à détester les faiblesses spirituelles et le matérialisme de l’Occident, pour comprendre, au bout de ses réflexions, que l’effondrement de l’Union Soviétique ne pouvait pas venir d’une force importée mais devait surgir de l’intérieur même du pays. La révolution, comme on le sait trop bien, dévore ses propres enfants. Le régime soviétique, lui, avec la “glasnost”, a commencé à accepter et à exhiber ses propres faiblesses, si bien que les credos marxistes ont fini par chanceler et le régime par chavirer. Déjà en 1975, la revue “Kontinent”, épaisse comme un livre, qui était un forum indépendant d’écrivains russes et est-européens, avait amorcé un débat sur l’idéologie en URSS en se référant à la “Lettre aux dirigeants de l’Union Soviétique” de Soljénitsyne, en la commentant à fond, avec des arguments de haut niveau. Un poète fidèle au régime avait même déclaré, à propos de ce débat: “Nous avons fusillé la Russie, cette paysanne au gros postérieur, pour que le ‘Messie communisme’ puisse marcher sur son cadavre et ainsi, y pénétrer”. Pour donner un exemple du ton de Soljénitsyne, impavide et inébranlable, courageux et solide, j’aime citer une réponse claire qu’il adressa un jour à son compatriote Sakharov, une réponse qui garde toute sa validité aujourd’hui: “Nous devrions plutôt trouver une issue à tout ce capharnaüm omniprésent de termes tels impérialisme, chauvinisme intolérant, nationalisme arrogant et patriotisme timide (c’est-à-dire vouloir rendre avec amour service à son propre peuple, posture intellectuelle combinée avec des regrets sincères pour les péchés qu’il a commis; cette définition s’adresse également à Sakharov)”. Et il y a cette citation plus humaine encore: “Cette hypocrisie ne suffit-elle pas? Comme un électrode rouge, elle a laminé nos âmes pendant cinquante-cinq ans...”. Les meilleurs livres de Soljénitsyne sont sans doute ceux qui sont le moins connus: je pense surtout à “Lénine à Zurich” (1975) et “Les erreurs de l’Occident” (1980). Quoi qu’il en soit, cet homme a surtout eu le grand mérite d’avoir, à temps et sans cesse, ouvert nos yeux, à nous ressortissants du riche Occident, alors qu’ils étaient aveuglés ou trompés; de nous avoir apporté son témoignage sur son époque et sa patrie (l’Orient ou la “Petite Mère Russie”) dans ses livres tout ruisselants d’authenticité; de nous avoir ainsi libérés des griffes du communisme, idéologie catastrophique et inhumaine. Il a pu être enterré solennellement dans le sol de sa patrie russe et non pas en Suisse ou en cette lointaine Amérique, ses terres d’exil. Personne ne l’aurait cru, n’aurait osé le prévoir, il y a vingt ou trente ans. (article paru dans “ ’t Pallieterke”, Anvers, 13 août 2008, trad. franç. : Robert Steuckers). (1) paru à Amsterdam chez van Oorschot, cinquième édition revue et corrigée, 1990. “C’est justement ici que se trouve la clef, celle que nous négligeons le plus, la clef la plus simple, la plus accessible pour accéder à notre libération: ne pas participer nous-mêmes au mensonge! Le mensonge peut avoir tout recouvert, peut régner sur tout, ce sera au plus petit niveau que nous résisterons: qu’ils règnent et dominent, mais sans ma collaboration!”. Ces phrases sont tirées d’un essai de Soljénitsyne, intitulé “Ne vis pas avec le mensonge!”. Elles caractérisent parfaitement l’écrivain russe, décédé début août 2008. Il avait été le plus célèbre des dissidents et Prix Nobel de littérature. Il n’a pas participé au mensonge, effectivement, ce qui lui permit de donner une impulsion à la résistance contre le régime soviétique, impulsion qui, à terme, a conduit à l’effondrement de l’Etat totalitaire alors que, jadis, il avait semblé si invincible. “Ce fut Alexandre Soljénitsyne qui ouvrit les yeux du monde sur la réalité du système soviétique. C’est pourquoi, son vécu a une dimension universelle”, a déclaré le président français Sarközy après avoir appris la mort de l’écrivain. Les réactions officielles post mortem n’ont généralement rien de bien substantiel. Quoi qu’il en soit, en France, le pays de Sarközy, l’oeuvre littéraire de Soljénitsyne avait provoqué un gigantesque retournement des esprits. Gramsci, marxiste italien, savait que toute société est dirigée par ceux qui influencent la pensée. En France, dans le sillage de mai 68, fourmillaient les “compagnons de route”, souvent des intellectuels bien intentionnés, qui voyaient dans l’Etat soviétique la réalisation du paradis sur la Terre. La publication de “L’Archipel Goulag”, oeuvre littéraire monumentale où Soljénitsyne règle ses comptes avec le régime de terreur communiste, ouvre les yeux à de nombreux intellectuels français. C’est le début de la fin pour le communisme, en France et en dehors des frontières de l’Hexagone. Plus que n’importe quel autre écrivain, Soljénitsyne dévoila la vérité quant à l’oppression subie par son peuple sous la dictature communiste. Parce qu’il ne voulait pas participer au mensonge. La biographie de Soljénitsyne a été révélée dans ses grandes lignes dans notre presse flamande. Soldat de l’Armée Rouge, il est fait prisonnier par sa propre hiérarchie et déporté en Sibérie parce qu’il avait émis des critiques contre Staline dans une lettre à un ami; il fut condamné à huit années de camp de travail et ensuite à cinq années de bannissement intérieur. Auteur d’ouvrages critiques à l’endroit du régime, il oeuvre dans un premier temps avec l’accord de Khrouchtchev, leader du parti, qui espère tirer un profit personnel en autorisant certaines critiques contre Staline. Plus tard, contre l’avis des autorités soviétiques, Soljénitsyne obtint le Prix Nobel de littérature; il n’ira pas lui-même le chercher de crainte de ne pouvoir rentrer en Russie; il sera malgré tout banni du pays après la publication en Occident de “L’Archipel Goulag”. Pendant des années, il vivra reclus aux Etats-Unis, dans une propriété enneigée et plantée de pins dont les allures lui rappellaient la Russie. Réhabilité après la chute du communisme, il revient en Russie en 1994, où il se posera, une fois de plus, comme un critique non conformiste, hostile aux pouvoirs établis. La presse flamande n’a pas raconté beaucoup d’autres choses à la suite de son décès. “La Libre Belgique” en a fait son grand titre, exactement comme “Le Monde” à Paris et d’autres quotidiens de qualité ailleurs en Europe. Chez nous, seulement de brefs articulets, quelques analyses toutes de platitude dans les pages intérieures des journaux. Rik van Cauwelaert fit exception dans les colonnes de l’hebdomadaire “Knack”, où un éditorial bien ficelé fut entièrement consacré à Soljénitsyne. D’où question: nos journalistes ne connaissent-ils plus Soljénitsyne? L’ont-ils jamais lu? Ou bien, l’appellation de “fossoyeur du régime soviétique”, dont on l’a si souvent gratifié, les effraie-t-elle? La Flandre a démontré, la semaine dernière, sa petitesse. Pourtant, il n’en a pas toujours été ainsi dans nos régions. “Le premier cercle” contenait, en page 202 de son édition néerlandaise, un phrase caractéristique: “Il y a toujours eu l'une de ces idées pour fermer la bouche à ceux qui voulaient crier la vérité ou monter sur la brèche pour la justice”. “Le pavillon des cancéreux”, “Lénine à Zurich”, “La Russie sous l’avalanche”, “La fille d’amour et l’innocent”, “Flamme au vent”, “Pour le bien de la cause”, “Août 1914”, “Une journée dans la vie d’Ivan Denissovitch”, “L’Archipel Goulag”, “Le chêne et le veau”, “Lettre ouverte aux dirigeants de l’Union Soviétique”, “Discours américains”, etc., tous furent rapidement traduits en néerlandais et connurent de réels succès éditoriaux. Les éditions successives se bousculaient à un rythme constant. Aujourd’hui, on ne peut plus acheter neuf qu’”Une journée dans la vie d’Ivan Denissovitch” en librairie. 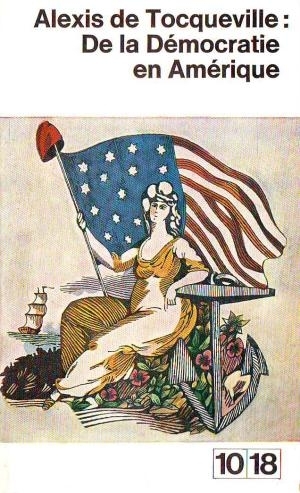 Même “L’Archipel Goulag” est épuisé. Partout dans le monde, l’intérêt pour l’auteur et ses idées s’est rapidement estompé après son bannissement à l’Ouest. Pour les clans de la gauche, Soljénitsyne resta suspect, alors que, pourtant, l’Amérique libérale, à son tour, était devenue la cible de ses critiques. La prise du pouvoir par les communistes, il l’a toujours considérée comme une “importation occidentale” (Marx était allemand) qui, par voie de conséquence, s’opposait diamétralement aux ressorts de l’âme russe. Le capitalisme était pour lui une horreur. Mais après la chute du communisme, il ne ménagea pas ses critiques à l’encontre de Gorbatchev et surtout d’Eltsine, qui, selon lui, vendaient le pays aux plus offrants et le transformaient en un marécage sordide où dominait une culture glauque, décadente, sans contenu réel. En 1999, Soljénitsyne écrit “L’effondrement de la Russie”, une synthèse de toutes les idées qui ont émaillé son oeuvre. Il règle ses comptes avec l’idéologie de la privatisation et déplore le déclin du patriotisme. La nouvelle norme est hélas devenue la suivante, elle se résume en une question: “Qu’est-ce que cela rapporte?”. Pour Soljénitsyne, le patriotisme est un sentiment organique, “la conviction que l’Etat vous protège dans les moments difficiles”. La patrie jouait un grand rôle pour Soljénitsyne. Mais Dieu aussi. Et Dieu disparaît également, ou alors on n’écrit plus son nom qu’avec un “d” minuscule. Il est clair que Soljénitsyne ne visait pas le succès auprès des détenteurs du pouvoir. Mais les intellectuels contemporains, ceux qui se targuent d’être dans le vent, n’aiment pas davantage ce conservateur fondamental, avec sa tête et son visage comme taillés dans du bois de chêne. “Il est dépassé”: tel est sans doute le commentaire le plus courant et le plus aimable qu’on a entendu à son propos. La plupart le rejetait en ne tenant compte que de la caricature que l’on avait faite de lui. Il a survécu à l’Union Soviétique mais est revenu dans une Russie où toutes les non valeurs, comme la corruption, le matérialisme, la superficialité et la décadence étaient omniprésents. Dans une recension remarquable, aux arguments solides comme l’acier, Hubert Smeets, dans les colonnes du “NRC-Handelsblad” (15 janvier 1999), évoque Wayne Allensworth qui était, dans les années Clinton, analyste auprès du “Foreign Broadcast Information Service”, une officine gouvernementale américaine qui suit la presse non anglophone du monde entier. Wayne Allensworth y défendait Soljénitsyne contre tous les critiques américains et étrangers. Selon Allensworth, en effet, Soljénitsyne était logique avec lui-même, suivait toujours sa même piste: la lutte contre LE mensonge, “contre la croyance en la possibilité qu’aurait l’homme de transformer sa propre nature, de manipuler l’univers et de créer un paradis sur la Terre”. C’est dans ce grand mensonge-là que se retrouvent, tous ensemble, les communistes, les capitalistes, les révolutionnaires et les libéraux. “Ce que les Occidentaux, convaincus de la supériorité du capitalisme, devraient comprendre, c’est que Soljénitsyne ne perçoit pas les racines de la misère économique et écologique de la Russie dans le socialisme en soi, mais dans le manque d’humilité de l’humanité moderne”. Pour Allensworth, on ne peut dès lors pas considérer Soljénitsyne comme un slavophile, simple héritier et imitateur des slavophiles russes du 19ème siècle, ni comme un idéologue “Blut-und-Boden” (à la mode allemande) mais comme un personnaliste contemporain, se situant dans la tradition d’Edmund Burke, James Burnham ou Christopher Lash. Concluons en citant Soljénitsyne lui-même: “La ligne de démarcation entre le bien et le mal ne passe pas entre les Etats, les classes ou les partis, mais à l’intérieur même de chaque coeur d’homme”. Le coeur de Soljénitsyne, lui, s’est arrêté de battre à 89 ans. (article paru dans “’t Pallieterke”, Anvers, 13 août 2008; trad. franç. : Robert Steuckers).